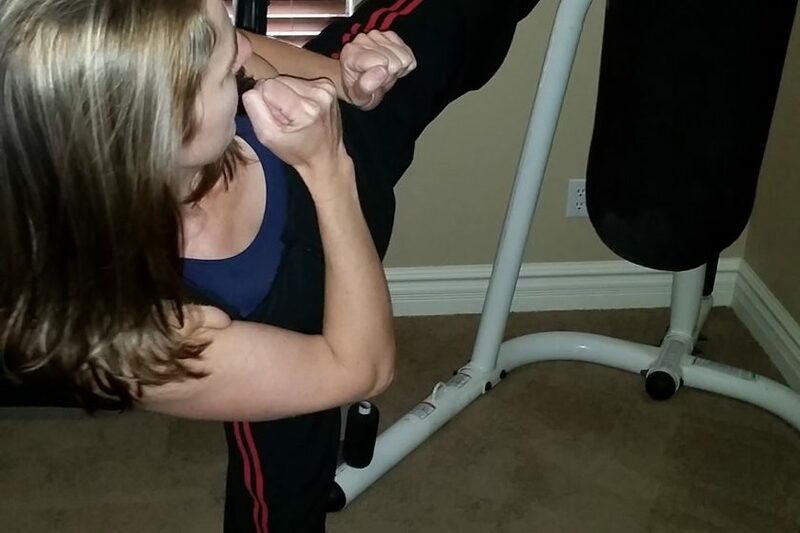 Fortunately, I trac ked many aspects of my first 12 week competition. 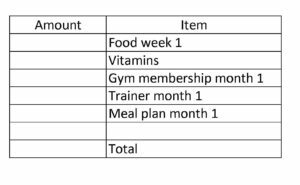 Under finances I included cost for food, vitamins, gym membership, trainer sessions, and nutrition meal plans. That was simple. Then I was able to divide the grand total into weeks vs months. Then I determined the percentage of each category by the grand total. I really like excel and all the cool statistical analysis it provides. Even the ones that I determined later were not important. So, now I know what costs are involved for the expenses. 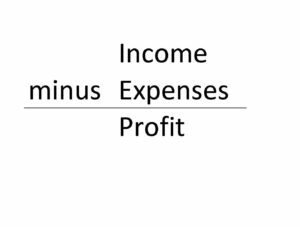 Simple accounting tells me, Income minus Expenses will give me profit. Therefore, how do I find a way to have income of $1,000,000 plus expenses? My coach gave me a few names of females that complete in fitness shows that could be earning $1,000,000. My coach thought it was from winning competitions, gaining sponsorship’s, and enrollment memberships to their training websites. Next is to find out if they or anyone else is earning a $1,000,0000 income. Do they make it over time or is a yearly earnings of $1,000,000 possible. Then implement the program. Why not? Let me know who you recommend I research and learn from.